Short selling stocks is the most misunderstood and under-utilized of stock trading techniques. The idea of making money because of a stock price dropping, seems very foreign and down-right doesn't seem to make sense to most people. Many stock investors feel it's un-ethical to sell short. They seem to believe we have to root for our companies to do well. Since most people in the stock market have a natural tendency toward optimism, selling short is often viewed as being negative. The fact is, there is absolutely nothing wrong with recognizing the reality of both the marketplace and economy. Cycles are a fact of life. In the same way that it's rational to sell and avoid a large loss when a stock starts to decline, it's also reasonable to profit from that decline. 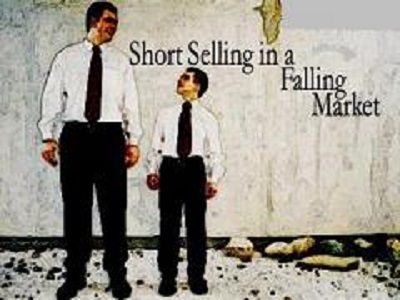 So what is Short Selling? Short selling stocks is placing a sell order for shares you do NOT currently own, in the expectation that the share price will drop in the future. When you short sell a stock, your broker will lend the stock shares to you. The stock will come from the brokerage's own inventory, from another one of the firm's customers, or from another brokerage firm. The shares are sold and the proceeds are credited to your account. Sooner or later, you must "close" the short by buying back the same number of shares (called covering your short) and returning them to your broker. If the price drops, you can buy back the stock at the lower price and make a profit on the difference. If the price of the stock rises, you have to buy it back at the higher price, and you lose money. For example, if you sell short company XYZ at $30, you simply borrow the shares from your stock broker for delivery to another buyer. If XYZ drops to $20, you then buy XYZ stock shares to replace those you owe your broker. And in the process you make $10 a share ($30 - $20 = $10). Most of the time, you can hold a short for as long as you want, although interest is charged on margin accounts, so keeping a short sale open for a long time will cost more. Moreover, you can be forced to cover if the lender wants the stock you borrowed back. Brokerages can't sell what they don't have, so you will either have to come up with new shares to borrow, or you'll have to cover. This is known as being called away. It doesn't happen often, but is possible if many investors are short selling a particular security. Because you don't own the stock you're short selling (you borrowed and then sold it), you must pay the lender of the stock any dividends or rights declared during the course of the loan. If the stock splits during the course of your short, you'll owe twice the number of shares at half the price. Short selling stocks can generally only be undertaken in margin accounts, which are accounts offered by brokerages that allow investors to borrow money to trade securities. Because of the higher degree of risk involved in short selling, the short seller has to ensure that he or she has always has adequate capital (or “margin”) in the account to hold on to the short position. Short selling stocks is the mirror image of buying stocks on margin. Thus, since the short seller is putting up less than the full value of the securities sold short, margin interest is charged by the broker-dealer on the balance amount of the transaction. Note that although the short seller receives an inflow of funds from the shares sold short, these funds technically do not belong to the short seller, as they are obtained from the sale of a borrowed asset. The short seller therefore has to deposit an additional amount in the margin account as collateral for the short sale. As with stocks purchased on margin, the margin requirement on short selling stocks depends on the price and quality of the stock, since these determine the risk associated with the short position. Hence, blue-chip stocks with prices in the mid to high single digits have substantially lower margin requirements than speculative small-cap stocks that trade in the low single digits. For instance, the margin requirement on a short sale may mandate that 150% of the value of the short sale be held in a margin account when the short sale is made. Since 100% comes from the short sale, the trader has to put up the balance 50% as margin. Thus if a trader shorts 100 shares of a stock trading at $50, this margin requirement would require the trader to deposit an additional $2,500 (50% of $5,000) as margin. This margin is constantly monitored by the broker-dealer to ensure that it stays above the minimum mandated level (known as the "maintenance margin") and would need to be topped up without delay (the dreaded “margin call”) by the trader if the short sale does not work out—if the stock, instead of declining, appreciates significantly. 1. The short seller does not receive interest on the proceeds of a short sale. 2. Margin maintenance requirements – ensuring that there is adequate margin to hold on to the short position – are based on the current market price of the security, and not on the initial price at which the security was sold short. 3. Margin requirements can be fulfilled through contributing cash or eligible securities to the account. 4. If the short seller is unable to meet the margin requirements, the broker-dealer will usually close out the short position at the prevailing market price, potentially saddling the short seller with a huge loss. Margin requirements can be eliminated by buying Put Options instead of short selling the stock. So who says you cannot make money in a bear market? It's a statistical fact that stocks decline faster than they rise. 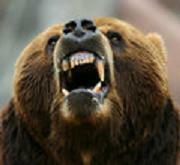 The reason being because fear causes a panic reaction, while greed takes time to simmer. So if you learn the rules for short selling stock and learn to use the proper tools, great profits can be yours! Don't sell short because the P/E is high. There are countless stocks that their share price looked to be too high based on their P/E ratios, but the price went much higher in the months ahead. As a matter of fact, there are many stocks that turn out top be really big winners on the short side, even though they have low P/E's. So the lesson is: fundamental overvaluation is NOT the way to uncover a short sale even though it is the most common method of stock market players. Don't sell short because the stock price has advanced too far. If you like Russian Roulette, this is your kind of game. Stocks that go high, can indeed continue to go higher. Use your technical analysis tools to analyze the situation first. Don't sell a Sucker Short; a stock that everyone agrees must fall. These are a combination of a big run in share price, a high P/E and lots of media attention. In addition, it has a very large short interest (the number of shares of a stock that are currently sold short). Theses "too-obvious" stocks often have a short interest of five or more times the average daily trading volume. When a stock starts to climb with this high short interest, short sellers scramble over each other to buy back the stock to cover their shorts, which in turn pushes the share price even higher! Don't sell a stock that trades thinly. This means a stock that has little trading volume each day, like a few hundred shares. When you cover your short, your buying will cause the price to rise, and it doesn't take much buying to panic the other shorts, causing a short squeeze, thus driving the price higher. If overall, most of the stocks in the Industry Group it is in are all strong, be very mindful and cautious before selling short. Don't sell short without first protecting yourself with a stop loss order. Recommended Short Selling Stocks tools and resources. Return from "Short-Selling Stocks" to the Home Page: "Stock Market For Beginners"